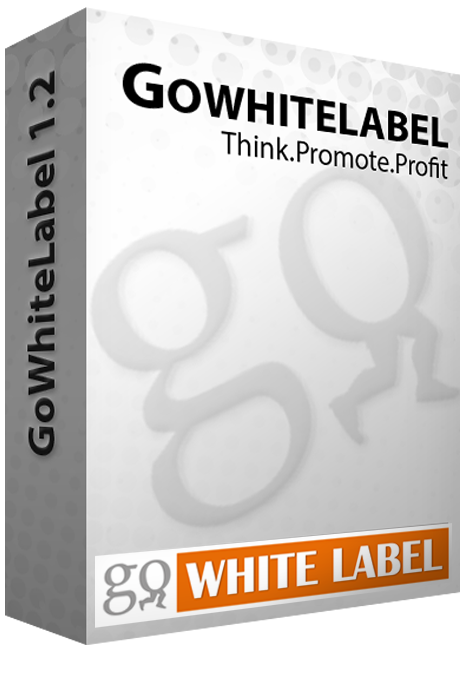 GoWhiteLabel 1.2 enables exemplary user experience by providing a combination of powerful and useful features with a beautiful and Intuitive Interface. This platform gets you the best of both worlds. The setup is so fast that your own “Dedicated Server Business” can be up and running in a matter of minutes, if not seconds. Click on Install, Enter License Code and AUTOPILOT ON. Simple and incredibly planned Interface allows for smooth control from the back-end of the GoWhiteLabel 1.2 Platform. Supports customizable theme, font, content, images, coupons, etc. – Dress to impress your visitors. User friendly installer and marketing materials that require no technical knowledge of running a dedicated server business. Supports a simple process which is easy to understand and follow – Install. Customize. Go Live. The fully functional user panel has built-in tools for all your dedicated server management needs: Watch the server traffic, reboot or shutdown the server – all from the GWL 1.2 Reseller Panel. The Dedicated Server Datacenter is ISO 27001:2005 Certified, which means that the database of your prized customers will be under paramount surveillance – PROVIDES TOP NOTCH FORTIFICATION FOR THE DATA OF YOUR VALUED CUSTOMERS. How to get the API? Fill in the simple form with Appropriate Information to Generate Your Unique License Code and API Hash Key. Check your Registered Email and verify the API Request to authenticate the process. Use the License Code in Email after Confirmation to Download the Quick Installation File and Start Your Online Business. Enter Your Registration details to Purchase your very Own Dedicated Hosting Business Licence Along with Your Ready to Launch Dedicated Hosting Business Website , Installation File,Marketing Material, and our Premium Support. The Chief Strength of GoWhiteLabel is that it is very easily to handle and identify. This is the only company on the Internet giving such huge margin to its Re-sellers. Love GWL 1.0. I feel I have not paid a huge sum for the amazing back-up of GWL Superhuman Support but still they treat me with a sense of courtesy and efficiency whenever I need help. We have been using GWL for last few days and simply love this platform. It is very user friendly and we would recommend it to anyone looking to start a hassle-free online business. The GoWhiteLabel 1.2 API is the best way of making use of the paramount dedicated server hosting services on the go. The platform is designed in a mobile friendly manner, which allows you to access and control your dedicated servers from the most remote parts of the world – All you need is an Internet Connection. Login to the Re-seller Panel with your Reseller-id and Password. Customize the appearance of your front-end. Set the rates for Individual Servers according to your capacity to sell. Contact Superhuman™ Support for any assistance. Using the GoWhiteLabel 1.2 Platform is as easy as plugging in an USB drive into your computer. You will receive the user documentation attached with your account registration email. You will receive the Installation guide attached with your account registration email. Our Superhuman™ Support will ensure end-user satisfaction and promises a smooth bootstrapping experience. The Support Response Time SLA is 30 Minutes and Resolution time is 6 Hours. New Package Installation in case of Updates. End User Support for all Re-sellers. Handle all your customer support tickets, projects and status updates. After signing up for GWL 1.2 Services, it’s an Autopilot Business as our support will take care of everything from handling customers to resolving support tickets. Go White Label is an initiative from InstantDedicated.com to spread the reselling of Dedicated Servers in a simple and effective way. The GWL 1.2 Platform is fully owned and operated by InstantDedicated.com. All the dedicated servers are hosted in a Tier 3 Facility with over 40 Cameras for Surveillance and Security of the Data Centre. When you sign up for GWL’s business infrastructure, you are going to get more than just infrastructure. With our on-board services tags along the capability of our Superhuman™ platform and team, complete with an attentive procedure for designing, deploying and running the framework. Instant Dedicated is a dedicated server hosting company with roots in Netherlands which strives to provide a variety of hosting and framework services with two standard beliefs in mind – the success of its customers and their enjoyment. Please use the form below to contact us. We look forward to working with you and will get back to you as soon as possible. All fields are required. Copyright © 2019. GoWhiteLabel. All Rights Reserved.